Extended Length (in): 11.610 in. Collapsed Length (in): 7.750 in. 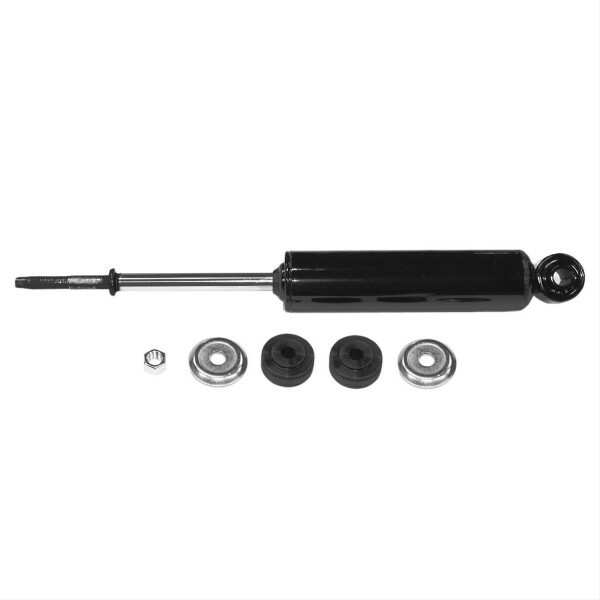 Whether your ride is from the '40s, '50s, '60s, '70s--or a limited registration--you can restore the handling and stability of your vehicle with these Gabriel Classic shocks. They feature a gas-charged design that resists compression and improves rebound to keep your tires in contact with the road, while also reducing the fluid foaming that may degrade damping and lead to fade. The shocks have a 1 3/16 in. piston bore to give you a step up in performance and handling. Gabriel Classic shocks are created for fit and are application-tuned to meet the specific needs of your vehicle, ensuring excellent handling, stability, and control without compromising driving comfort.